Erin Blegen: My Scrap Cabin: "Cozy"~ Webster's Pages *NEW* Plum Seed Collection~! 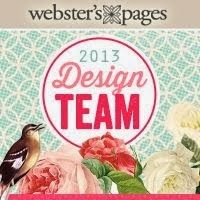 "Cozy"~ Webster's Pages *NEW* Plum Seed Collection~! Good morning :)! Last week I shared with you a card that I created for Webster's Pages using one of the new Adrienne Looman collections Citrus Squeeze. Today I'm here to show you a layout that I created with Adrienne's other collection Plum Seed, which is full of warm, inviting colors and patterns. Even my little Gunner wanted to climb inside of this collection and cuddle up to it :)! Can you blame him?? As I studied this collection for the first time, I realized that there were lots of opportunities for fussy cutting which you quite likely know I LOVE. I love to discover "embellishments" in the patterns on paper. So many different ways of using them! I was also happy to discover that- as always- this collection could be mixed and matched with other collections! Just look here- the frame from the Perfect Accents Frame Variety Pack, the butterfly cameo from the New Beginnings Perfect Accents Pack, a sentiment sticker from Best Friends, and a Quick Picks bow & stick pin. 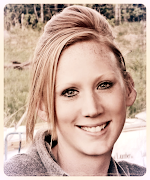 Thanks to you for coming by my blog today! I hope your week is off to a great start :)- take care! Your lay-out looks so sweet and cozy. I really love your fun design and layering. This is so pretty, Erin. Love the banners and the cameo. This is so pretty, Erin! I love the 3D effect...he's coming right out of the layout :) Such beautiful colors in this one. oh my Erin, he is sooo beautiful, and I love how he looks like he's resting inside the frame, really nice layout! Such a stunning layout. 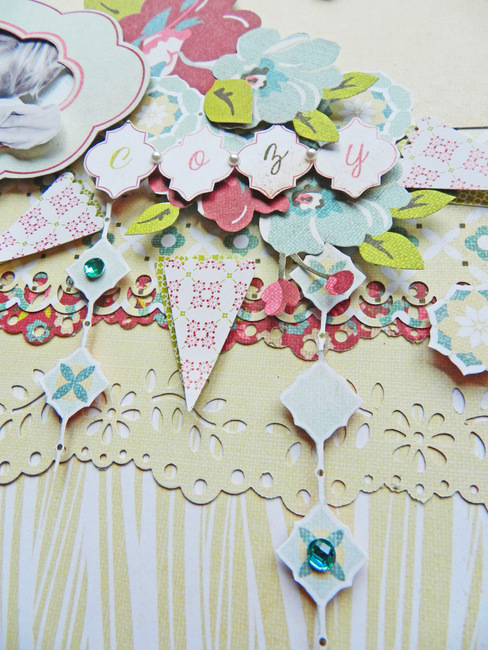 I love the colors and I love the way you used the paper for embellishing. The layers look divine and love the design. 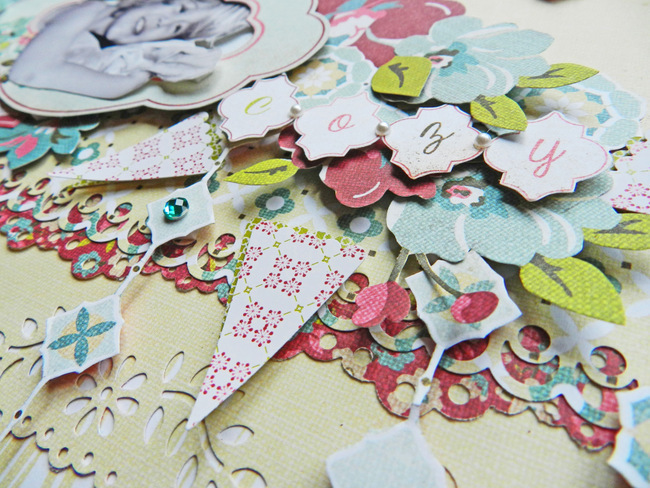 Love all of the fussy cut elements on your page Erin, and that sweet frame around Gunner's photo!! What a gorgeous layout, all those layers and lovely colours! Wow! This is just beautiful! Love the array of embellies and how you used them here...stunning! I think this lo is my most favorite ever!!! Phenomenal!!!!!! Totally stunning Erin! Exceptional work! !